Something I think is great about On Becoming Pre-Toddlerwise is the section of advice for Dads. I think when we are discussing “parenting” we often focus on “mothering.” I know I do here. Sure, it makes sense. I am a mom, the blog is Chronicles of a Babywise MOM, and it would probably be rather annoying to have me “preaching” to men about what they should be doing as fathers. But that doesn’t mean fathers should be neglected. I know some of you readers are fathers. So here are some ideas of things you can do as fathers. If this is something you dad readers are interested in, I am happy to delve further into ideas for dads–even with different ages. Despite the fact that I don’t write about it, I have plenty of ideas. I am a woman after all :). Ezzo and Bucknam discuss the role of fathers as “demonstrating a servant leadership” in the home (page 32). I love this focus on leadership, and think it applies to any leadership position of any gender. Let’s discuss the ideas from Pre-Toddlerwise for how fathers can accomplish this in the home. Show honor to your wife. Treat her as your wife, not “just” as the mother of your children. Ideas for this are acts of service, undivided attention, and words of encouragement. If you have read any of the posts on Love Languages, you will find those three ideas very familiar. If you haven’t ready those, do so, then go buy the book “The Five Love Languages ” for men. Another way to show honor is a weekly date night. This does wonders for the relationship and wonders for your wife’s psyche. If you want her to act like more than a mother (in other words, like your wife), you have to put her into an environment that lets her tune into that person. Dates don’t have to be expensive or extravagant. For a mother, going grocery shopping is a “break” from the mundane, so a simple walk without the kids can be enough. Tell your wife thank you for the things she does at home. Since getting married almost 7 years ago, my husband has thanked me every single week for doing the laundry. He doesn’t thank me for everything I ever do, but I do notice the laundry. He probably pays special attention to it because he knows it is my most hated chore. A woman really never gets thanked for all she does, and every little thank you means a lot. And if you do this in front of your children, think of what a benefit it will be to them and the family dynamic. They will thank mom more often if they see dad thanking. They will also think about the things done for them rather than taking them for granted. This will make them more aware and more grateful people in general. Be on the same page as your wife when it comes to parenting. In order to do this, you will need to come home from work and sit down and talk to her about the day. Ask what the children did. Ask how the day went. Find out the conflicts that happened and how your wife handled them. Discuss strategies for helping your children become better people. By doing this, you and your wife will be a parenting team. Then on the weekend when you are there all day, you will know the routine. Then when your child is old enough to try the trick of asking both parents to see which answer he likes best, you will be in sync with each other. There will be great consistency and predictability in your children’s lives. This relates to like-mindedness. 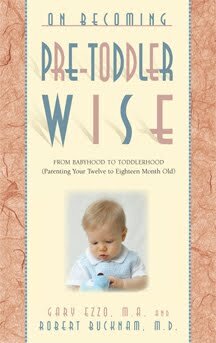 “Women appreciate a husband who is willing to participate in the ‘knowledge’ side of parenting” (page 34). This is very true. In various groups, I often see the question “did your husband read the books?” followed by a long list of replies that essentially say “no” and leaving everyone feeling better that their husband is not the only one who isn’t reading the books. Read the books! You can read each book in a couple of hours. Very easy read. Or ask your wife to recommend a few key posts from this blog if you feel like you can’t muster the time to read the books. You need to know why you are doing what you are doing as a parent. You can also be ‘mom for a day’ and go through the day as your wife would. Not as a dad would–as a mom would. Be informed about what is going on in your child’s life. I know for many of you this is a new concept. About a year ago, I was very sick (throwing up and fainting and such). My husband stayed home and took care of the kids, but had to ask me all day who was doing what when. I finally told him that if I ever died, the kids’ schedules are on the blog. This brings us to the value of something like couch time when you can sit down each day and talk about what happened. Dad, ask. Mom, tell. This is a good one. When you get home and see the house in shambles, don’t immediately jump to “what have you been doing all day?” or “why didn’t you clean the house?” Rather, ask your wife how her day was. Look for ways to help. If your wife has had an awful day and you walk in and get mad, you definitely won’t be helping the situation in the least. Your duties as a husband are to support your wife, be a friend to your wife, and protect your wife. Honor her as your wife and as the mother of your children. A happy wife/mother leads to a happy family. Show her love, and you will get it in return. Great Post! Loved it. I am going to have my Husband read it! I forwarded this post to my husband:) Also wanted to say that for the first Babywise book I made a 3 page summary of what I thought were the most important points and had my husband read it (multiple times). That was very helpful to him because he wanted to know what the plan was, but reading a book on parenting a newborn seems about as interesting to him as watching paint dry. Whereas for me, that book was an easy, interesting, and quick read! Now sometimes he will say things like, "Why are we doing that? Didn't the book say _____?" Ha! Thanks for this. With all the organizing and cleaning and blogging I've been doing at home, my babies don't recognize me anymore, so I needed help getting my husband in on the mothering. Now I'm able to spend 6 hours a day preaching to other families about how amazing I am (that's God's work, not mine). I am truly blessed. Fortuitous, perhaps your day would be better spent with things you like rather than things you don't. I find the lyrics to Sara Bareilles' song "Machine Gun" quite suiting for you:"Tell me off in a letterCompletely ignore meGetting high off of sayingWhy you don't adore me?Baby, please, I'm well versedIn how I might be cursedI don't need it articulatedStand in line wastingAll of your time just to hate meEvery dime gone to waysYou can find that might bait meAnd drag me down, sight set proudlyBring me to the ground seeYou love to be somebody's enemyMaybe nobody loved you when you were youngMaybe, boy, when you cry, nobody ever comesWill you try it once?Give up the machine gunMachine gun…"While I do often find you annoying, you aren't actually hurting my feelings or deterring me in any way. After all, you don't even have the courage to face me as yourself. You hide your identity. In my mind, you are "he/she/it" and for all I know, you could very well be a 13 year old boy with too much time on his hands. You trying to insult me with false assumptions about me, my family, and my relationship in my family just doesn't hurt my feelings. I know what is true and frankly don't care what you–some unknown face hiding behind a computer–think about it. So your time would really be better spent finding something you enjoy and supporting it, or you could spend your time with your own family.Of course, each time you come to my blog, I do get money because you have viewed my ads. So if you insist upon coming and continuing this futile attempt and tearing me down, that is perfectly fine. At least I get some benifit from it while you continue to be torn apart inside with your malice. Great idea Megan! Thanks for sharing that.